Has your son or daughter just passed their driving test, and now‘s the time to buy their first car? 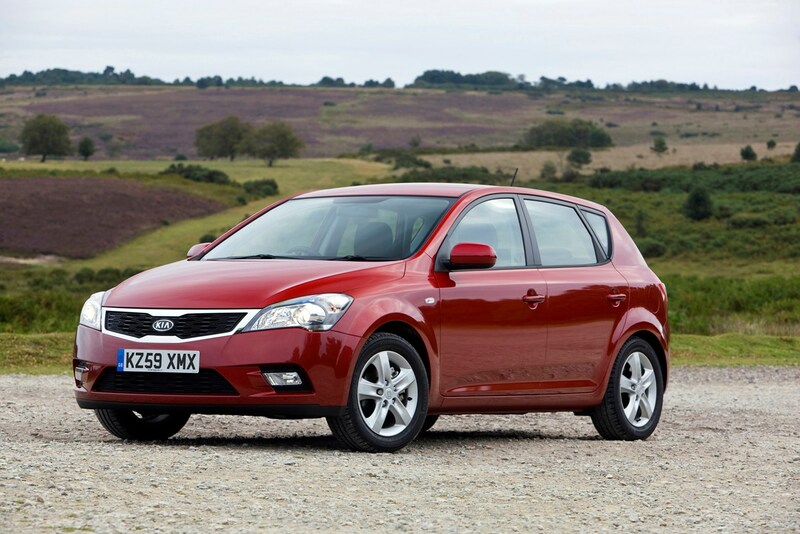 You’ll want to find a cheap, economical car which is cheap to insure. 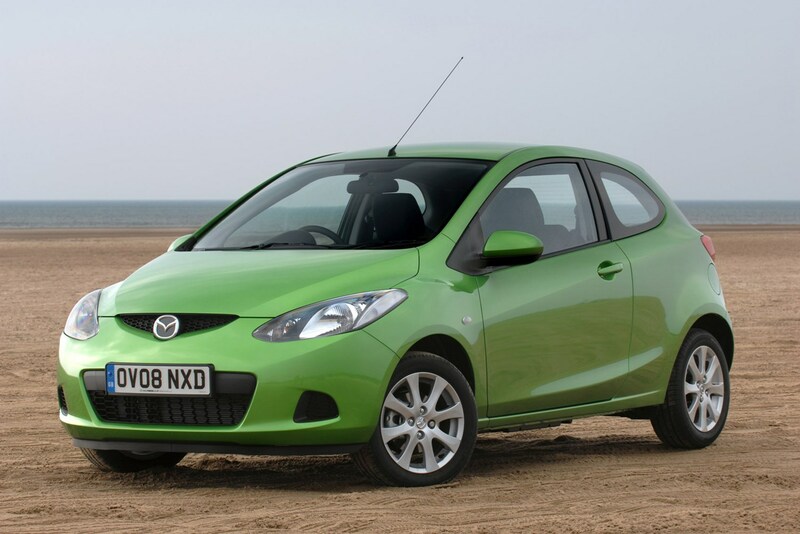 A budget of £2k-£5k gives you loads of options of used cars for young drivers to choose from. 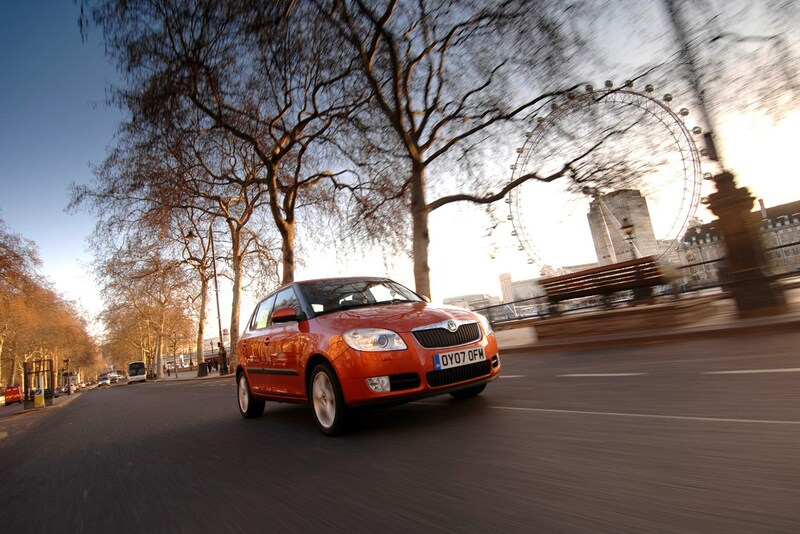 All of our favourite cars in this list have a low insurance group, perfect for first drivers. For full lists of car insurance groups, and how to find cheap car insurance for young drivers, click here. Vauxhall banished its dull former Corsa with a sharply styled and modern looking update. Petrol engines are good but it’s the diesel line-up that really shines. We like the frugal 1.3-litre CDTi. There is a 75bhp unit, which promises 71mpg. In early 2010, this was improved with stop/start technology and reached a claimed economy of 76mpg. Power increased too, to 95bhp. A year later in 2011 the same unit was revised again and Vauxhall said it was good for 80mpg. This is the one we would have. Fun to drive, yet cheap to run and very safe, the Ford Fiesta looks great, drives even better, and is economical to run. Agile and precise steering is complimented by good body control. As well as the choice of three- and five-door models, you can choose between nippy petrol engines for town driving, and punchy diesels, which really come into their own on the motorway. 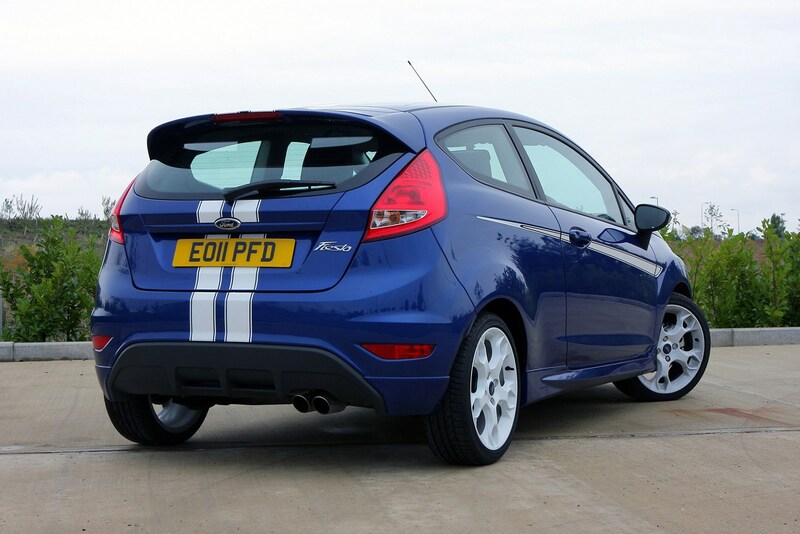 In 2012 the Fiesta was facelifted and a low speed crash avoidance system was made available. Another attractive feature for parents is MyKey, which can be used to limit the car’s speed and stereo volume. You’ll have to stretch the budget slightly to buy a newer model though. There are five equipment grades ranging from Studio to Titanium X. We’ve picked a 1.25-litre petrol engine in Studio spec, which is a cheap runner. If you can afford it then the 1.25-litre Zetec trim offers a better balance of power and styling without compromising economy. However, it is a higher insurance group (7). 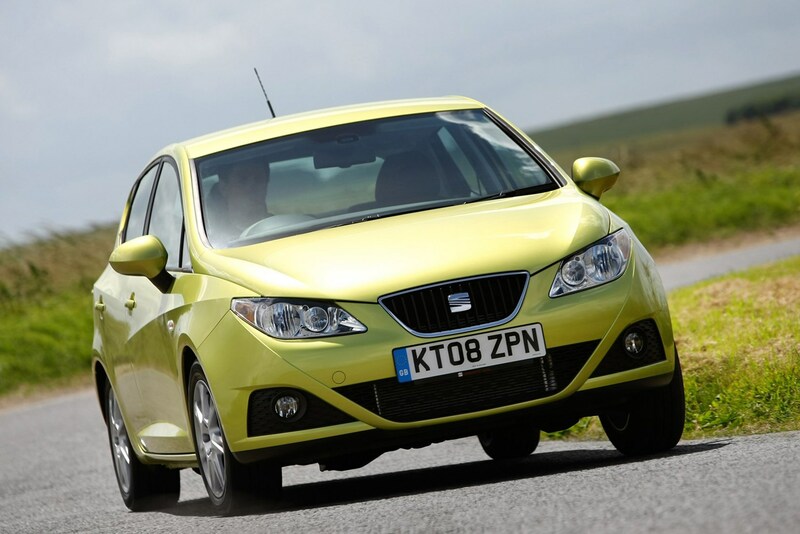 Although it is set apart from its supermini rivals in the looks department, the SEAT Ibiza is not a case of style over substance. 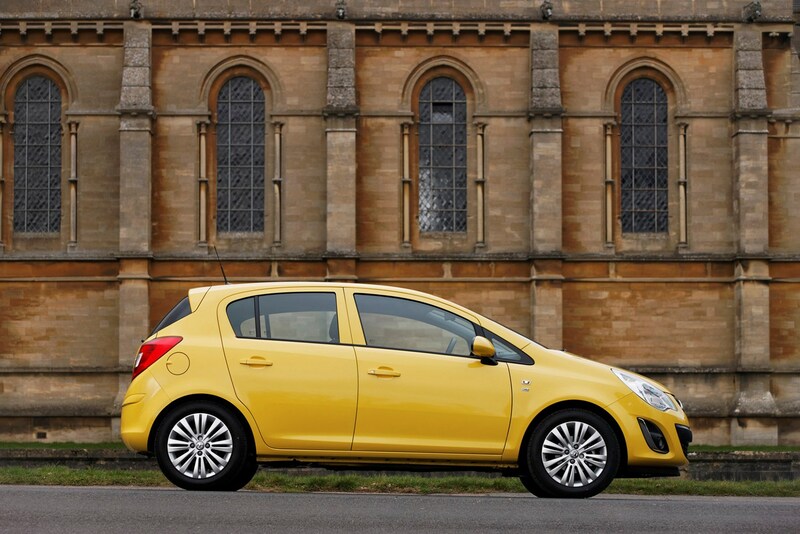 Great equipment levels, lively engines and a spacious boot help it stand out. This latest model is lighter, resulting in a responsive drive and its attractive instrument display is a big upgrade. Equipment levels are good with SE trim representing the best kit and value for money. Air conditioning features on most models except the base and eco Ibizas. Those after fuel efficiency should look no further than the 1.2-litre diesel Ecomotive, which SEAT says will return 80mpg. However, this comes at a price. The 1.4-litre petrol engine makes good sense, with a bit more power than the three cylinder 1.2-litre petrol, but the latter offers cheaper insurance and better efficiency, so we’d have that. 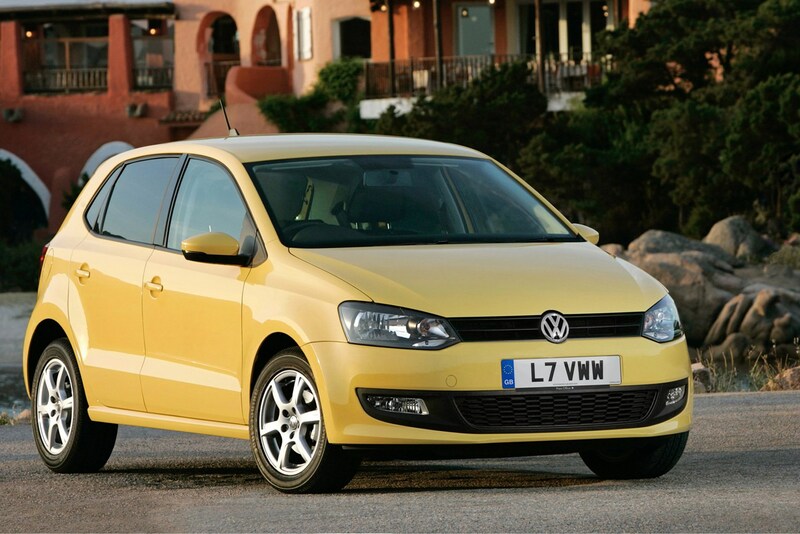 Quiet and refined, the VW Polo is an upmarket choice, if not the most exciting to drive. Despite its small footprint there is a good amount of room inside for four adults and the interior is VW’s usual high-quality, low-distraction offering. The Polo was also one of the first small cars to achieve a five-star rating from Euro NCAP, with a 90 percent score for adult occupant protection. Good petrol engines are complimented by a single diesel, in two outputs, 74bhp and 89bhp. A super-efficient diesel BlueMotion model was released in 2010 and revised in 2014. These are expensive and in the case of the early model, spartan in terms of equipment. Even in standard trim the Polo was an expensive proposition. The second-generation Skoda Fabia shares the same platform as the VW Polo and Seat Ibiza in this list, so what sets it apart? Well, if you are looking for something that is better value for money than the Polo, with a more comfortable ride than the Ibiza, the Fabia is for you. We recommended the 1.4-litre diesel BlueLine model. This is a seriously frugal motor (claimed average of 61mpg), although costs slightly more to insure. However, if you fancy pushing the boat out the budget then try to track down a Monte Carlo edition. Featuring 17-inch alloy wheels and a black-painted roof, this version of the Fabia makes a very strong statement. 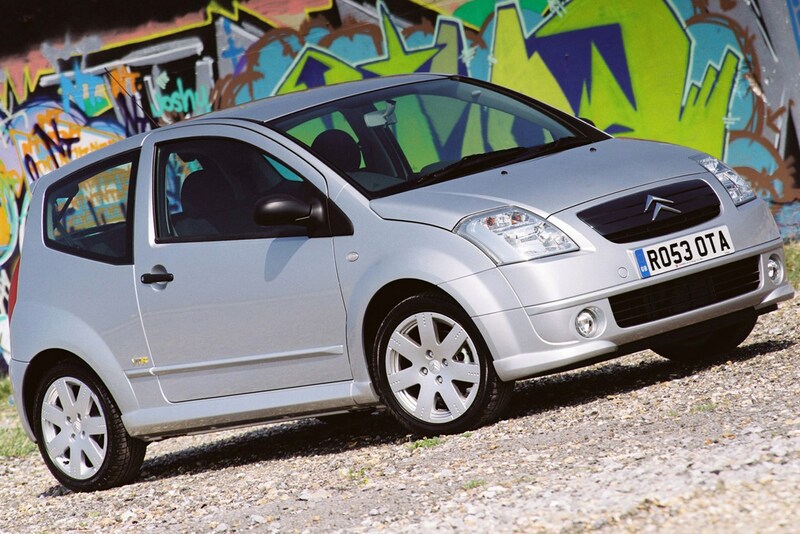 As first cars go, the Citroen C2 happily takes the baton from its Saxo predecessor offering neat styling and cheap motoring. The interior is slightly let down by some of its plastics but the C2 is very cheap to buy, run and most importantly, insure. Our pick is the cheapest 60bhp 1.1-litre petrol engine, which costs next to nothing to run, with the top spec VTR trim. With this you get body colour side skirts, front bumper and rear spoiler, 16-inch alloy wheels, a chrome tail pipe, cruise control, heated and power folding mirrors, sport seats, ABS with Electronic Brakeforce Distribution and an anti-theft alarm. It looks great and won’t require frequent access to your wallet. A slightly left-field choice but its 325-litre boot increases to 1,258 litres with the rear seats down - perfect for students likely to move houses with any regularity. 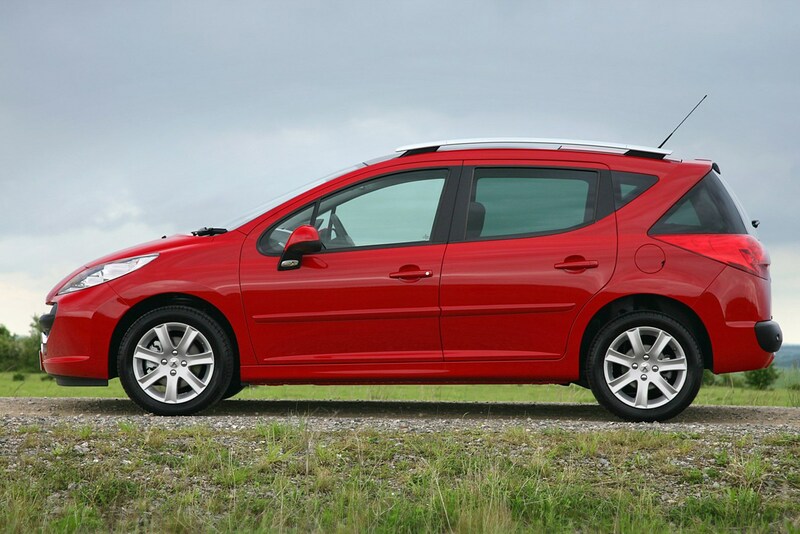 Fold the seats up and enjoy the dynamics of the standard 207. There is the choice of a 75bhp or 95bhp petrol engine in 1.4-litre guise, or a 120bhp 1.6-litre VTi unit. Diesels come with stiffer springs to hold up the extra bulk. There are two 1.6-litre turbodiesel engines, with 92 or 112bhp. The less powerful engine has lower emissions and is great for occasional lugging. Good grip, accurate steering and well controlled body roll all contribute to the MINI’s go-kart like handling. It’s no one-trick pony though, offering exciting, efficient engines, and styling that is entirely its own. For this budget you can afford the 1.4-litre petrol engine. 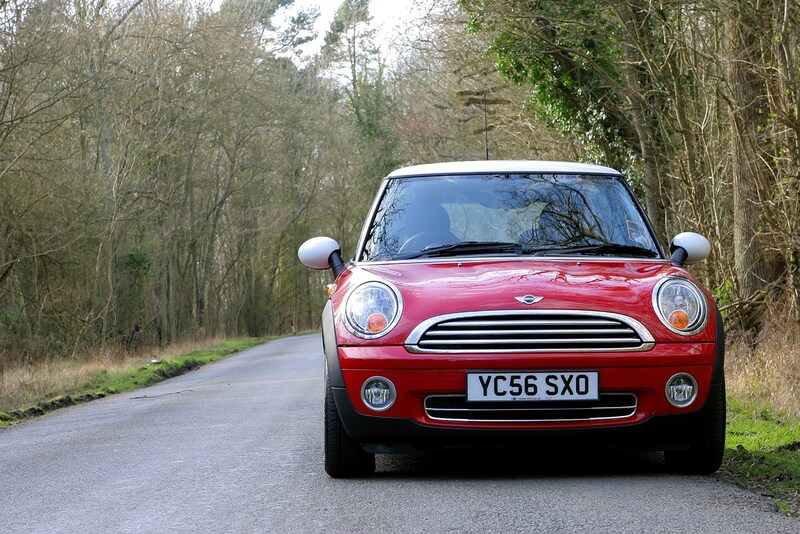 It is smooth and happy to be revved, which matches the MINI’s handling personality nicely. Standard kit is pretty sparse but you will find remote central locking, steel wheels, CD stereo plus MP3 player connection, electric windows and mirrors, and air conditioning (from January 2009). They’re bad news as far as insurance is concerned because they can bump up your premium. They could be hiding nasty surprises as well, especially if poorly fitted. You have to inform an insurance company of any changes to the car so best to look for a standard set of wheels. It’s always worth taking someone experienced in buying and selling vehicles with you to check and test-drive the car. Be on high alert for wear or damage related to city use. This could be anything from car-park dings and kerbed wheels to a worn-out gearbox or clutch. Minor body scrapes can be fixed with a smart repair, but clutch or gearbox issues can prove expensive. A budget car might have been owned by a penny-pinching owner. Make sure the service history is full and from a reputable garage. Check for low fluid and tyre tread levels as this is often a sign that the car has not been treated with the fastidious care it needs. There is no point making a £50 saving on your annual insurance premium if the car you are buying is a gas-guzzler. Equally, make sure you factor in any major services or work that needs doing – a new cam belt, or four new tyres, for example – into your budget. However, bear in mind that this could be a good way to negotiate a discount, especially if the work required is imminent.